ca. 400 - 380 B.C. 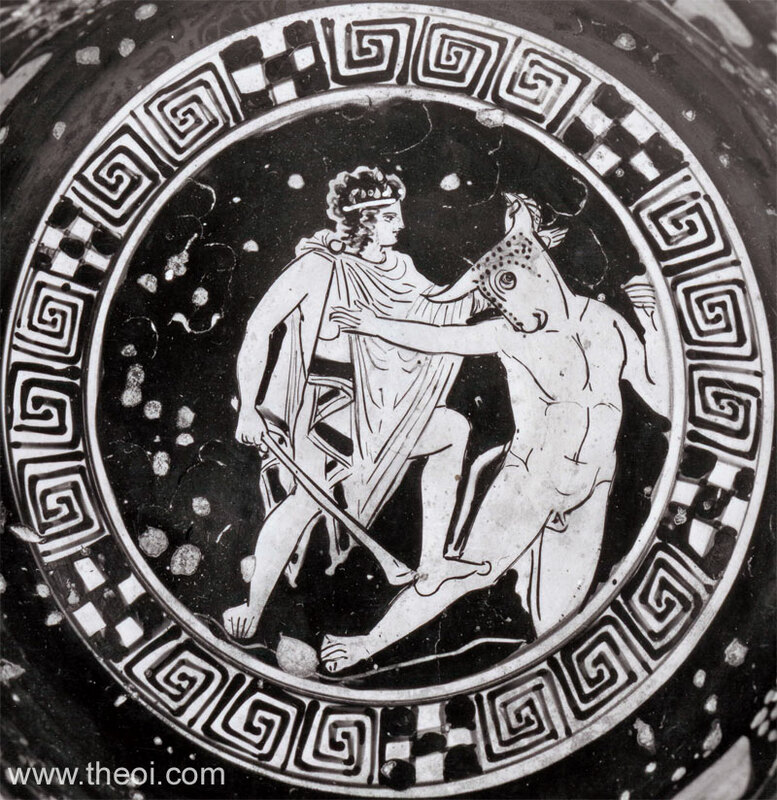 Theseus grabs the bull-headed Minotaur by the horn as he prepares to slay it with a club or bone. The comical appearance of the beast may be intentional.